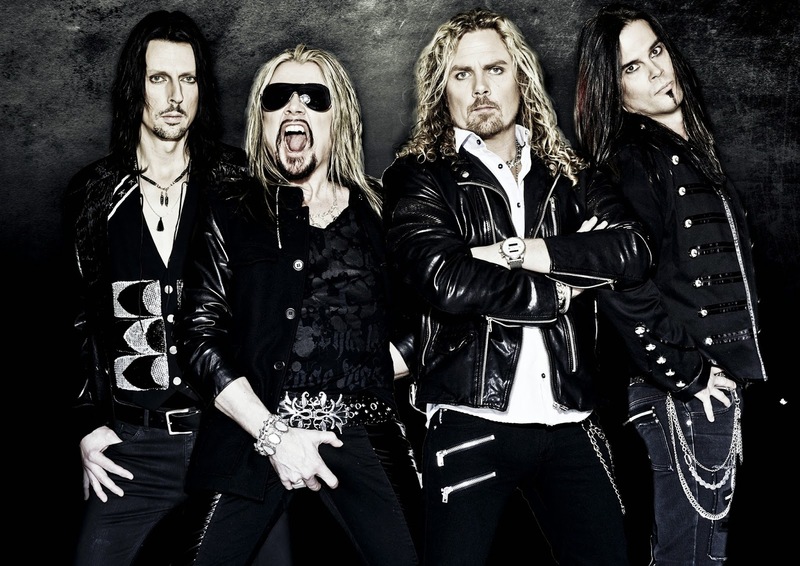 Rock & Metal 4 You: CD-Review: The Poodles - "Devil In The Details"
CD-Review: The Poodles - "Devil In The Details"
The Swedish Hard Rockers of THE POODLES are well known for their continuity in the Rock & Metal scene, because they released already six studio records in nine years. That's a huge number. Unfortunately, the songmaterial got weaker and weaker with each new album and everybody who read my review to "Tour De Force" knows that this was my personal low-point in Poodles history. I received a lot of criticism for this review, but it was just my honest opinion. 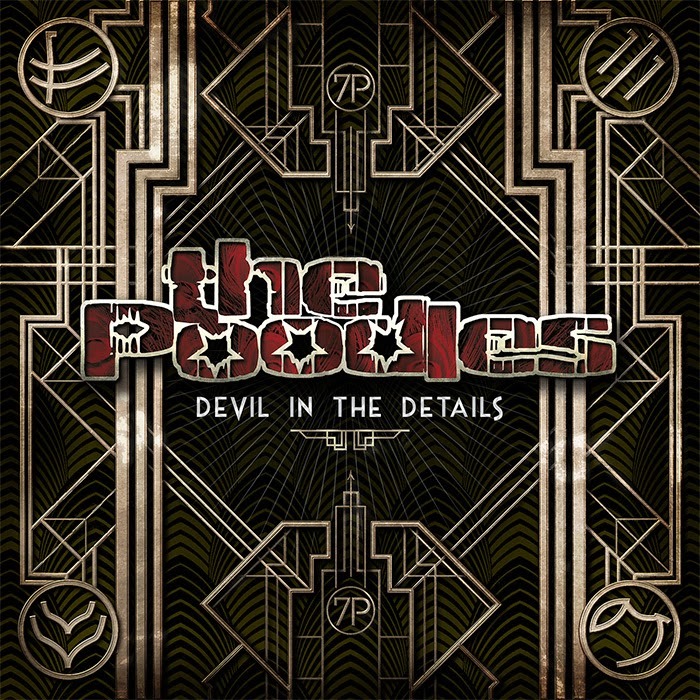 So now, two years later The Poodles released their sixth album "Devil In The Details" and as you can imagine, my expectations weren't that big. It's some kind of love-hate relationship between these guys and me, because I admired them for their first two/three releases and nowadays I still want to love them like I did back then. But with each record it got more and more disappointing. That's mostly due to the fact that The Poodles got away from their feel-good, stadium-sized anthems with huge hooks (take a look at "Metal Will Stand Tall", "Night Of Passion", "Seven Seas", "Like No Tomorrow", "Until Our Kingdom Falls", ...). Instead we get to hear a more modern, a more darker approch - especially when you listen to their latest record "Tour De Force". While the songwriting couldn't impress me that much in recent years, the quality in production and sound was always top-notch! All members of this band are great, skilled musicians, there is no doubt about that and when it comes to musicianship "Devil In The Details" makes again a fantastic figure. 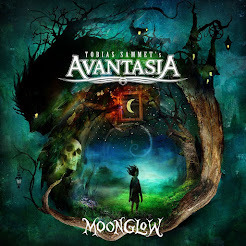 Jakob Samuel sounds great as ever and Henrik Bergqvist delivers again some cool guitar solos. Unfortunately longtime-member Pontus Egberg left the band and was replaced by Johan Flodqvist on bass. But this doesn't detract from the quality of the rhythm section, led by Kicken's powerful drumming. Unfortunately I can't share this enthusiasm for the production by Mats Valentin this time, because the whole album feels too polished and too overproduced. While "Tour De Force" had a huge sound and some edges "Devil In The Details" sounds too radiofirendly at times and makes too much use of electronic gadgets. That also affects the songs. The whole record isn't heavy like the predecessor was. "Devil In The Details" shows The Poodles from their most experimental side. It's cool to see that they want to give the listener the best variety possible by adding modern elements of pop and even funk as well as changes in rhythm and groove, but this feels like The Poodles took a look at the mainstream charts. At times this mixture works, but sometimes these new sound elements feel just out of place and so the guys created two of their worst crimes to date: listen to "(What The Hell) Baby" - for me one of the most terrible songs this band has ever written. Because of it's sloppy beat, simple melody and polished sound the whole thing reminds me at a pop song off the shelf, which could have been sung by every middle class boygroup. Same goes to the danceable song "Stop". What did they think when they wrote this? These tracks are a slap in the face for each Hard Rock/Metal fan. "Devil In The Details" simply doesn't sound like the Glam or Metal influenced first records and here comes the worst thing about this: here and there it doesn't feel like hand-made music anymore, therefore the whole thing is too polished and contrived. It's nice that the band dares to try something new and that they like to reinvent themselves, but please stay true to your roots at the same time. But enough with the nagging. Luckily there is also some light, because ironically we get to hear some traditional Poodles stuff as well. "Everything" is such an amazing track - it is the pure essence of what the Poodles should sound like on every single song nowadays. That one grabbed me from the very first moment with its infectious melody and is one of the best songs this band has written in years. If the whole album would have sound like this I would have been so damn happy. Another winner is the calm ballad and first single "The Greatest", which is a perfect earworm. Same goes to the rockin' "Alive" and the atmospheric opener "Before I Die" . Also "Need To Believe" could convince me very quickly with its anthemic chorus and on "Life Without you" the melody of the verses reminds me very much at "Walk The Line" from their second album "Sweet Trade". Cool! In all these moments you recognize how much potentital The Poodles still have. Sadly they don't make use of it during the whole playtime. It was rarely so hard for me to give a final rating here, because I really want to like every minute of this album, but at the end of the day it is again some kind of double-aged sword. There are various highlights here and a very good band performance, but sometimes I didn't feel satisfied. Most of the time "Devil In The Details" sounds way different than everything the band did before, but that doesn't work on every song. Some people might be annoyed by all those modern pop influences, others will love it because the songmaterial fits the mainstream very well. It's a balance act between old and new to gain new fans and don't disappoint old followers. I'm one of those fans, who admires hand-made music that feels real and so the result is a bit confusing. Take a few listens and make yourself a picture. Finally I just can say that "Devil In The Details" is slightly better than its predecessor, simply because of all its variety. The album doesn't get boring, even after countless spins, but it's still far away from the class of their first records. For the next time I hope they get a step away from this pop stuff and do what they can do best: rocking from start to finish. Yes you are definitely right. Like I said in my review - "(What The Hell) Baby" and "Stop" belong to the worst songs the band has ever written and I can understand that fans don't like this style. I'm also a fan from the very beginning. But there are a couple of songs on this album, which are growing on you with each listen and the band sounds still good. It's just this pop-style that is annoying on some songs. Let's hope the next album brings back the typical Poodles style! I never paid much attention to poodles I must say, I like this record. Not a super Hit but a very nice record. I agree with your favorite songs & Raking! CD-Review: Halestorm - "Into The Wild Life"